Chris Watts‘ late wife Shanann‘s parents have given a heartbreaking interview to ABC’s 20/20, sharing their painful thoughts about him killing her and their grandchildren. On the Friday night broadcast, Sandra and Frank Rzucek also revealed how they felt about Chris before the gruesome nightmare began. 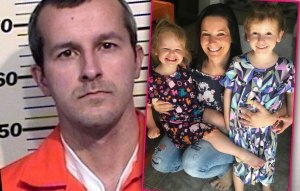 As RadarOnline.com has extensively reported, cold-blooded Chris murdered pregnant Shanann, 34, and their two young daughters, Bella and Celeste, in August at their Colorado home. Chris had strangled his wife and smothered the girls; he buried Shanann in shallow grave in a crude oil field where he worked and put their daughters’ bodies in oil tanks. Bella and Celeste’s skin had fallen off after their little corpses were discovered. “Those grandchildren… they were my everything, they were my only grandchildren in the whole world,” Sandra said, getting teary-eyed while sitting next to her husband Frank for the emotional TV interview. Sandra called Chris the “devil,” confiding, “We did scream at God, yes we did. But as Radar has exclusively reported, Shanann had planned to divorce Chris before the murders. Sandra and Frank remembered how Shanann had bravely overcome the risks of her lupus diagnosis to have children. “She was fun, full of life. She did so many things. She had her hand in everything,” Sandra proudly recalled. The Rzuceks said that Chris had appeared to be extremely distant before the murders. It was a far cry from most of their marriage when Chris “did everything he could for her to make her happy. It was amazing love,” Sandra remembered. She said her daughter was “clueless” that Chris had been cheating on her as were her family members. Chris will spend the rest of his life in prison after he pled guilty to the murders that shocked the nation.